for $339,900 with 3 bedrooms and 1 full bath, 1 three quarter bath. This 1,418 square foot home was built in 2017 on a lot size of 0.1100 Acre(s). This Desert Mid Century home has over 1, 400 Sq Ft, 3 Bedrooms & 2 Baths. 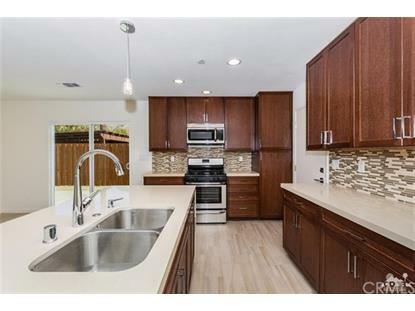 The Elegant Kitchen, has stylish Caramel Cabinets and Bone Quartz. 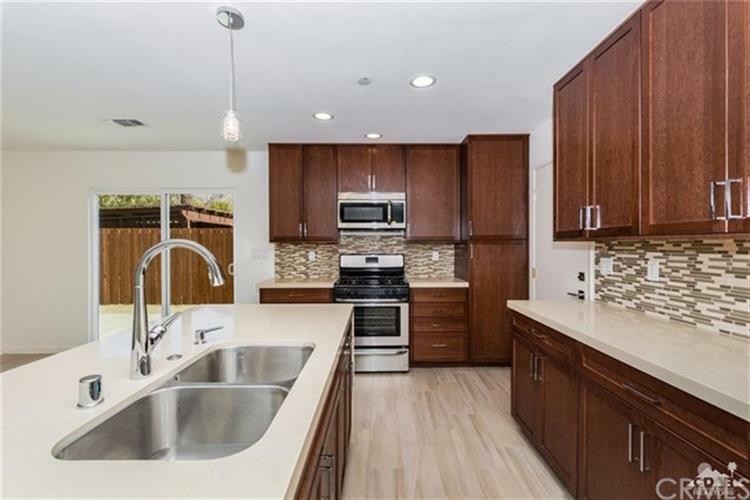 Includes stainless steel appliances and a Prep Island/Breakfast Area. The Great Room features a corner placed Fireplace with a Neutral Brown Wood look alike Flooring. Dining Room features Chandelier and corner Built In Cabinets and Quartz. Great Size Bed Rooms and Elegant Bath Rooms with Custom Shower in Master Bath with Enclosure. Floating Vanities in Baths and Stylish Flooring. Bedrooms include wall to wall Berber Type Carpet. In House Laundry area with upper Caramel Cabinets and Pantry. Exterior features low and easy Desertscape in Front Yard.